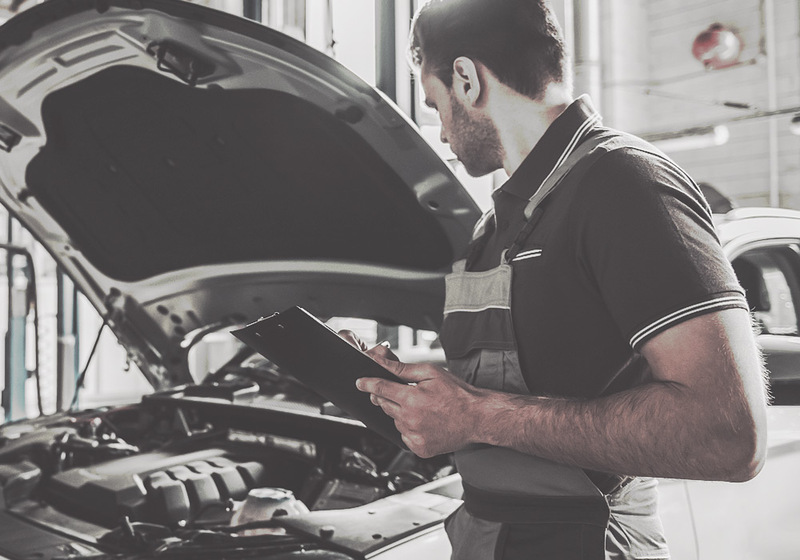 Building a brand from technology. Do you have an idea for a project that you'd like to discuss? 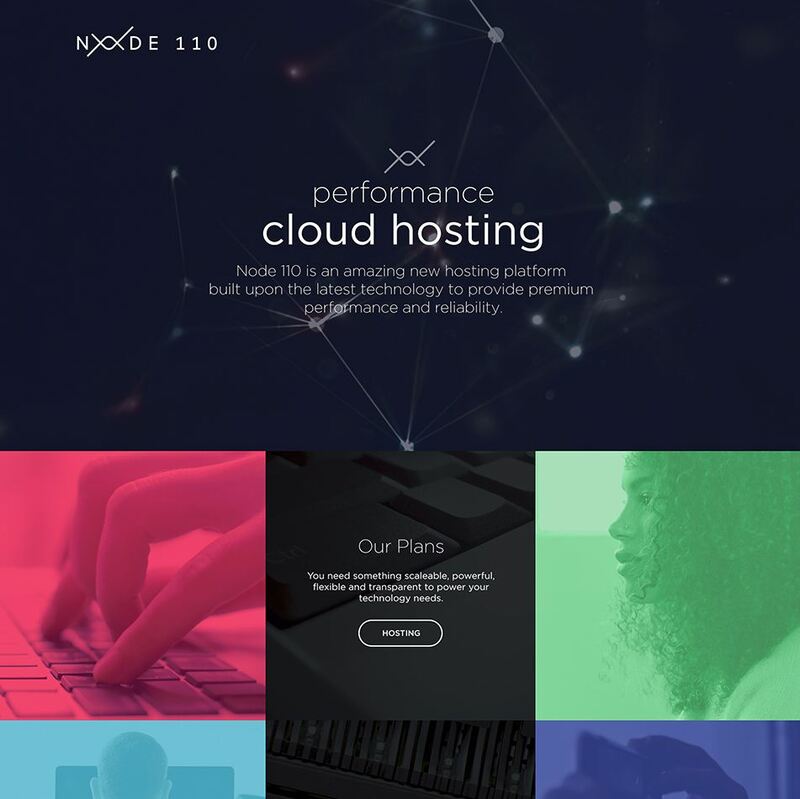 Node 110 is a brand new cloud hosting company. 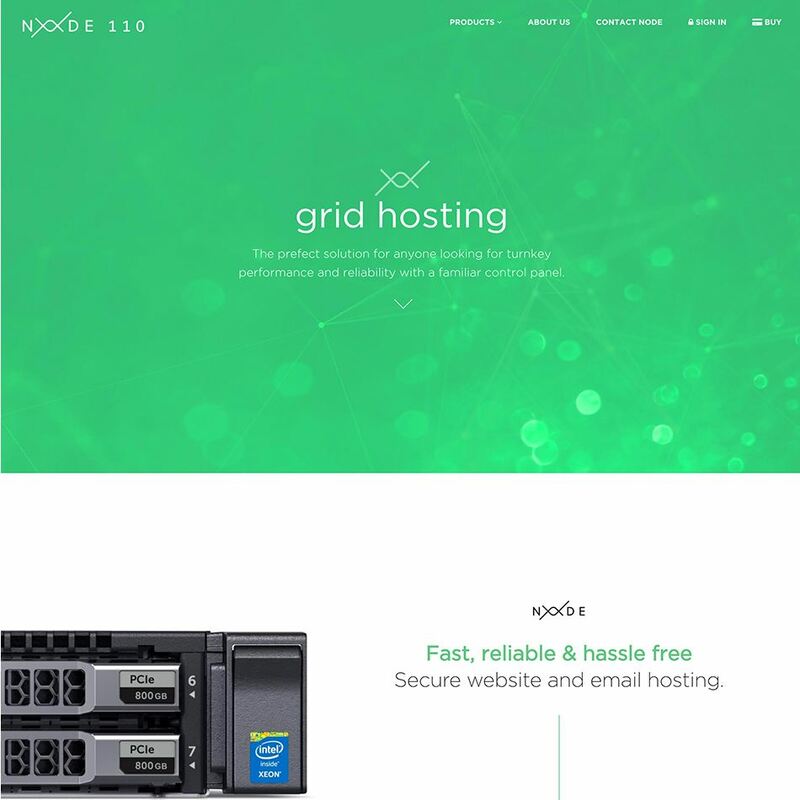 Node 110 focuses on providing a 3-tier system of powerful plans ranging from grid to fully self-managed VPS solutions. eTecc / Interactive needed to construct the Node 110 brand from the ground up. The proposal included full identity development, responsive website design and an e-commerce solution. Once the mark was defined, the direction was clear: Node 110 is clean, prevailing, digital and bold. An abstract reference to inter-connected components became the principle inspiration for the entire brand story. Once discovered, we knew this would inform the visual direction of the entire project. A brand born from technology needed a modern palette. We looked to bright electronic colors derived from primary RGB positions and inspired by Holi powder. Subtle hue shifts helped form the energic color system unique to Node 110.
eTecc didn’t want to default to an exisiting commercially available icon set to support the visual design of the Node 110 website. 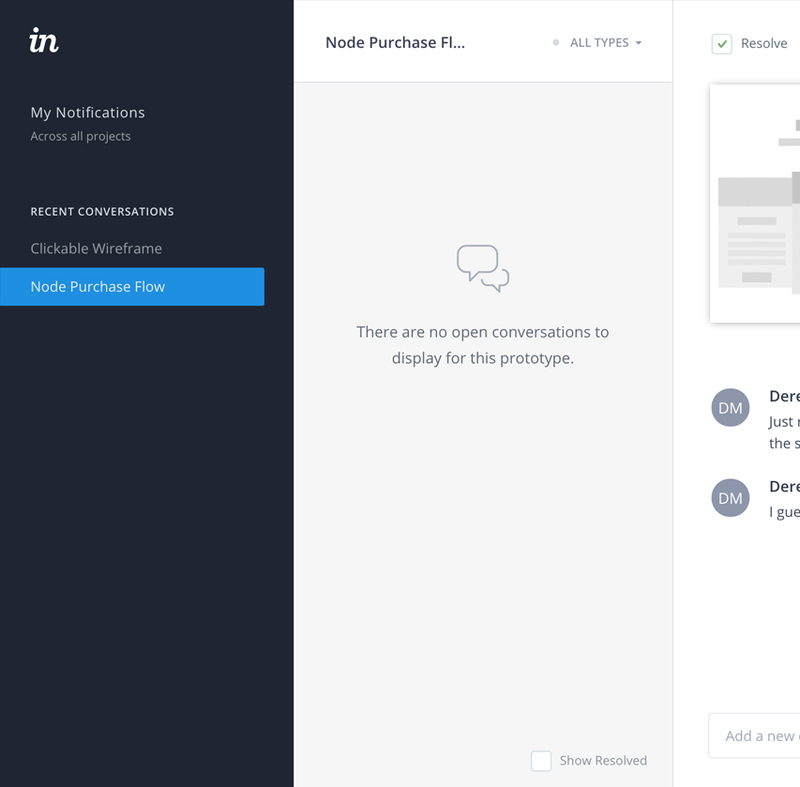 We used the logo as the inspiration for a set of custom icons that communicate not only the tenets of Node 110’s products, but also help narrate the range of services to users. The use of a custom icon library gave us total control over what metaphors were necessary to illustrate for visitors. We began the wire framing process once the need finding phase was completed. eTecc mapped and designed the website for rapid prototyping. 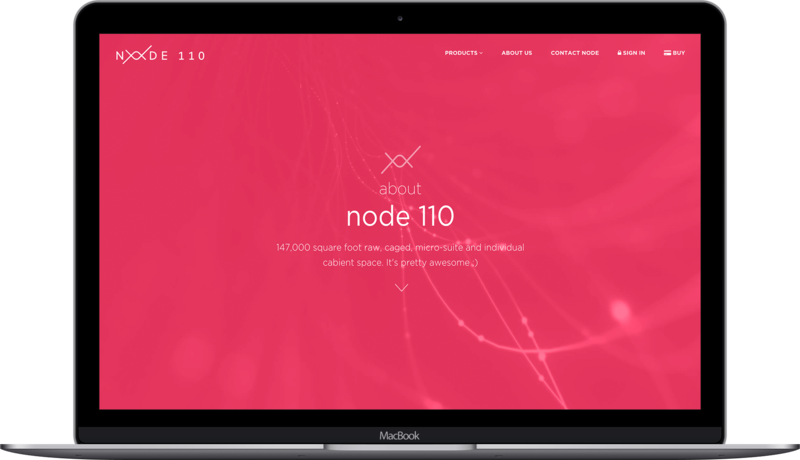 The Node 110 site was then submitted and tested for client review. Having a fully interactive prototype helped our team identify gaps in the information architecture and supplied us with the necessary feedback to plan the final page flows. We regularly produce in both Marvel™ and Invision™ to rapidly test, gather and disseminate user and client feedback. eTecc created a bold interface to match the Node 110 identity. 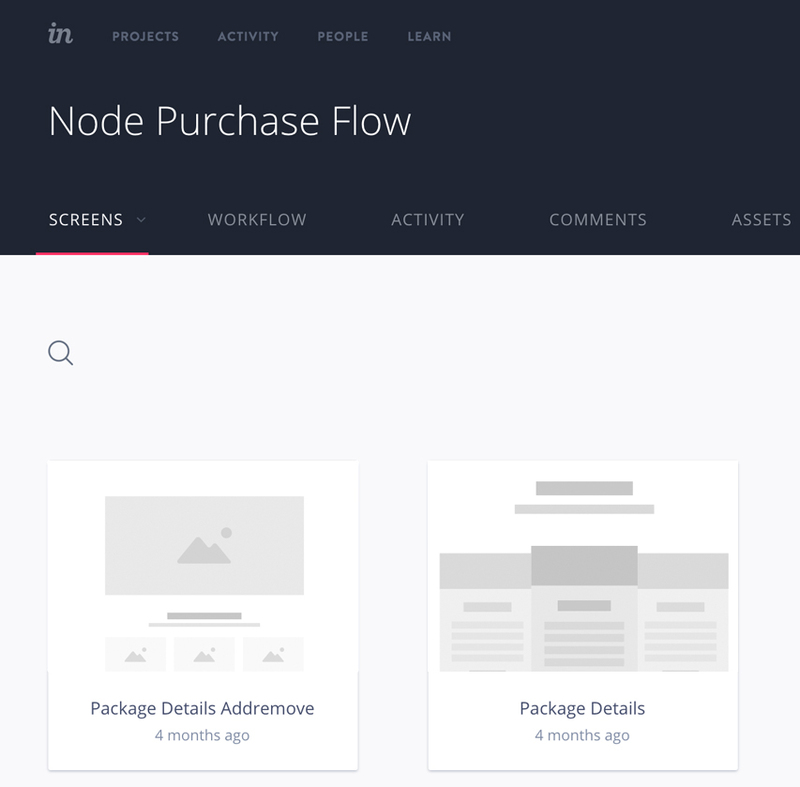 We worked to marry technological imagery with the brand’s modern color story and produced a confident UI that communicates the features and multiple options of the Node 110 services. 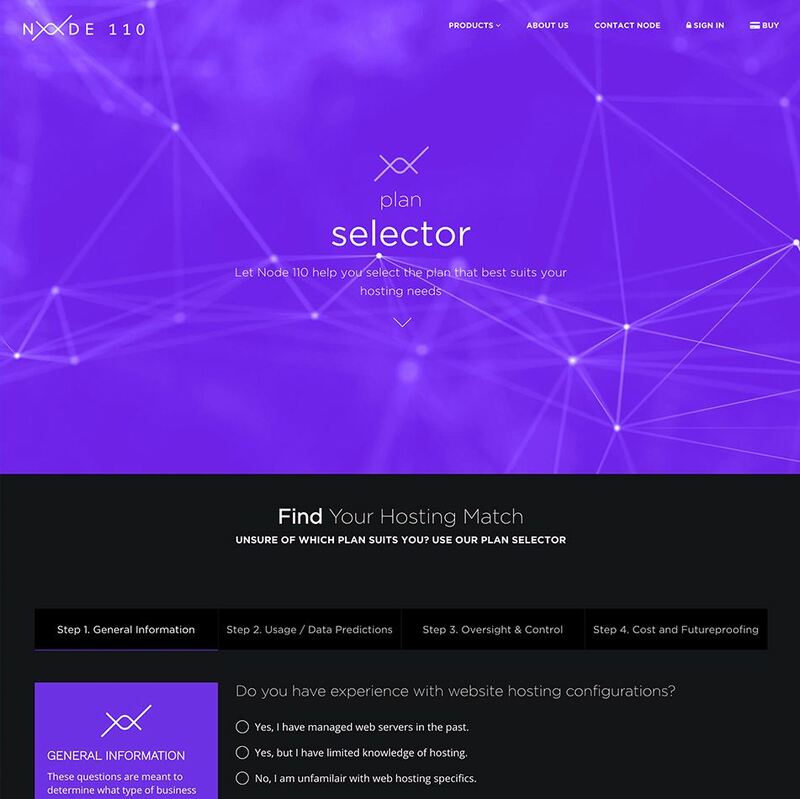 We didn’t just create a responsive website design and identity for Node 110, we also designed a hosting plan selector to help customers arrive at what plan or package best suits their needs, and increased conversions by removing the friction from the sometimes overwhelming task of selection a hosting package. 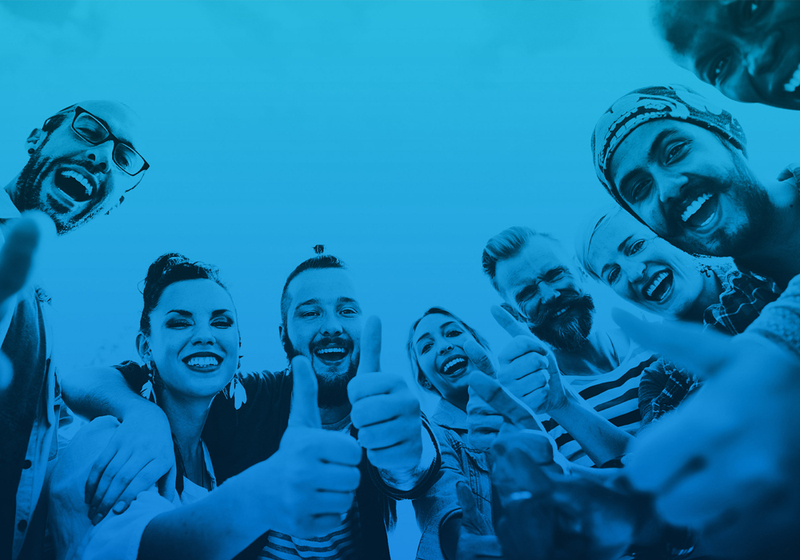 We used our favorite framework Laravel™ to craft a fully functional site with user admin and account features, e-commerce payment processing (with Brain Tree) and a complex support and ticketing system for customer service.